The weather transition can be extremely difficult. One moment you’re feeling a strong heat wave, threatening to melt you, while in the next, you feel like you’re in the middle of a blizzard. Scientists from the University of Maryland have decided to address this issue by inventing a smart fabric which adjusts to the environment and in that way regulates body heat. 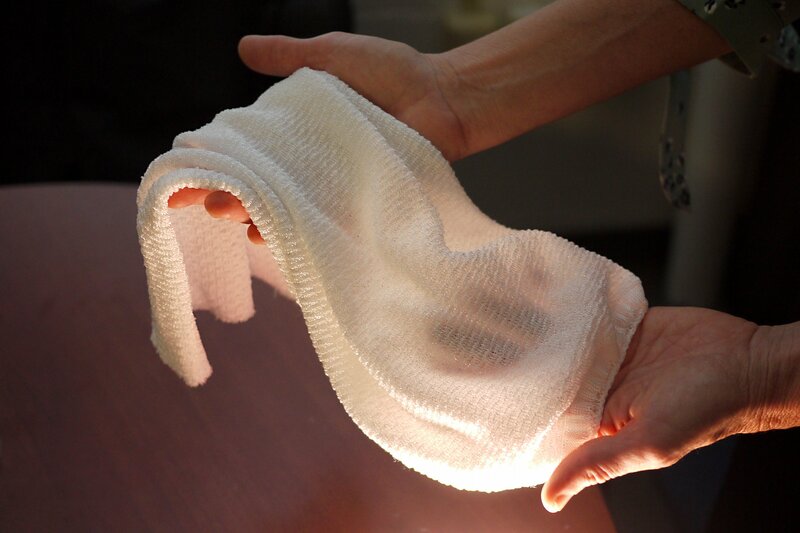 While there are plenty of accessories which can regulate heat, this is the first time scientists have invented a fabric which can be used for both warming up and cooling down the body. The environment it is surrounded by dictates which insulation properties the fabric will use. The findings of their study were published in the journal Science. The smart fabric will allow more heat to pass through the fabric when there are warm and moist conditions, while also decreasing heat loss in colder and drier conditions. Scientists managed to achieve these smart properties thanks to its yarn that is made out of two different materials which are covered in carbon nanotubes. One of the materials would be able to absorb water, while the other one repels it. When the body is hot and moist, the yarn becomes a tight bundle, allowing more gaps in the fabric and letting more heat escape. Then when the fabric is cooler, the yarn fibers expand, closing the gaps in the fabric which prevents heat from escaping. Scientists will still have to work on perfecting the smart fabric before it can be commercialized and turned into actual clothes we can wear. However, the researchers believe that process won’t be too difficult and soon we’ll all be wearing sweaters which can help regulate insulation. The good news also is that the materials which are used for making the base fibers are widely available, while the carbon nanotube can be easily applied at the time of the standard dying process. The smart fabric will definitely be worth the wait. Scientists describe the process of the insulation changing ability due to the environment to be so fast, that we won’t even notice whether it’s cooling or heating, or adjusting to the environment before knowing it actually changed. So, based on the environment, the lining will either block the infrared warmth coming to the body or let it in. “I think it’s very exciting to be able to apply this gating phenomenon to the development of a textile that has the ability to improve the functionality of clothing and other fabrics,” Ouyang said. The best part, probably, is that the high demand for this kind of clothing may even reduce our need for heating in the winter or air-conditioning in the summer, allowing us to save more.